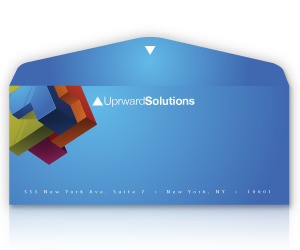 Whether you’re a new business, a well-established one, or just an individual looking for high-quality envelopes, PrintFirm’s full-colored envelopes are a great way to make what you’re mailing stand out. Whether you have a design background or not, PrintFirm has everything you need to design and print the most professional and eye-catching envelopes to impress current and future customers. Premium 70 lb. 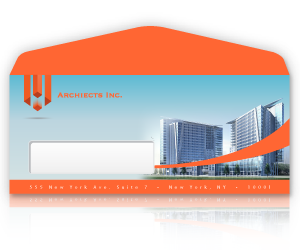 White Paper is great for all kinds of documents but especially for envelopes. The paper is easy to write on and flexible and foldable enough to make crisp, clean edges. If you want to handwrite addresses or add an extra note on the outside of the envelope, you can do so easily. Our 70 lb. Linen Paper is great for when you really want to make an impression. The paper is more substantial, textured, and will make your logo and brand really stand out! It’s flexible enough so that it’s easy to fold and makes nice clean edges. Your message gives off a level of importance when its put in an envelope made with this paper. You can print up to 20,000 envelopes! PrintFirm takes a flat piece of the paper of your choice and prints whatever graphic you want on it. We then use a die cutting machine to cut out the shape of the envelope you choose and then use a machine to convert the paper into envelopes. We then ship them to you in either 4, 6 or 8 business days, depending on how quickly you need them. You’ll be sending them to your clients in no time! Using vector-based files (.Ai or .Eps) when submitting an original design. Downloading our template and following it as best as you possibly can. This will ensure that when your envelopes come to you, they’re exactly how you expect them to be. 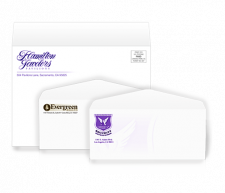 Full Bleed: With our full-colored envelopes, your image, logo, or graphics can be printed on the entire envelope, not just the front or the back. You can have color or a picture on the flap of the envelope as well. Color Printing: With our full-color printing, we can put any color you want on your envelopes with no extra charge. There is also no limit to the amount of colors you can have either. The sky (or perhaps the rainbow) is really the limit! 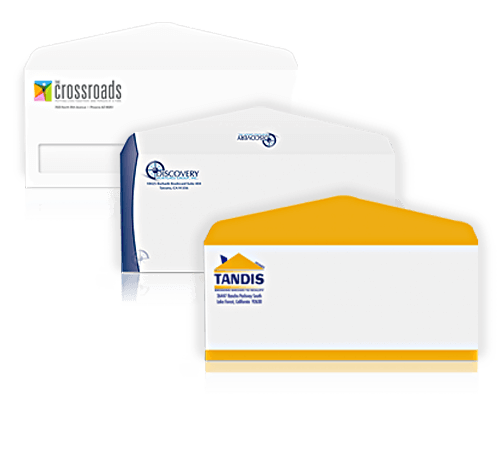 Great branding tool: You can print envelopes with your unique logo, name, and/or colors on them to make sure your customers know exactly who is sending them mail and what to expect inside. They’ll know who you are before even opening the envelope! Stand out: With all the bills and advertisements everyone gets in the mail, one way to stand out and make sure your ad or information doesn’t get thrown out with the junk mail is by using color envelopes. You stand out in a crowd of the usual white ones! First impression: By using full-color envelopes, you can give potential customers and clients a great first impression of your business and what you’re all about. 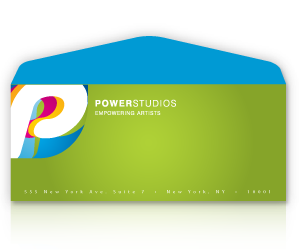 A color envelope can let clients know you’re a legitimate business. Information Through Color: You can tell the customer more information than you might think based on the colors you use. By choosing green, you might make your clients think of money or the environment. Is that what your business is about? Purple gives off a sense of creativity while red can give off a bold vibe. If you don’t already have a color scheme in mind, think about which colors will be best for your business. Color can do a lot of the work for you! We can’t wait to help you design and print your next colorful envelopes!